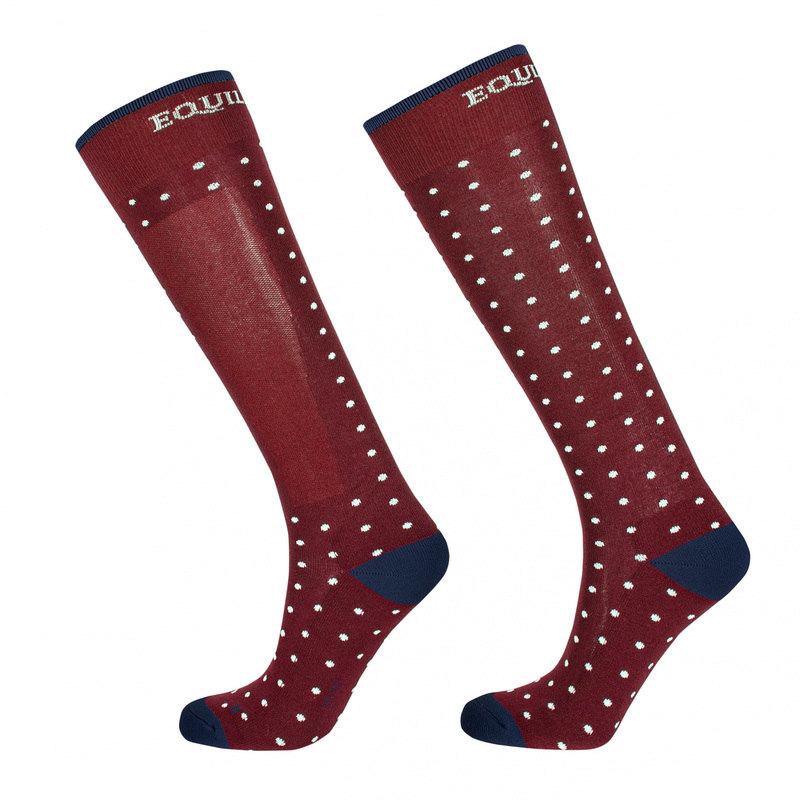 Equestrian unisex knee socks made of the highest-quality jersey. The calf part is very thin, which guarantees high comfort during riding. They are breathable and perfectly drain moisture. These socks are decorated with dots on the whole surface and with an Equiline inscription on the elastic trimming.